Ever since Michael O’Neill took charge of Northern Ireland’s international side in 2011 the fortunes of the nation have been vastly improving. Ranked 129th in the World 2012 Northern Ireland notched-up an all time high of 22nd in June this year, showcasing the enormous impact the manager has had. Their improvement has been highlighted with success at Euro 2016, while they are currently sat comfortably in second place in Group C of qualifying for the 2018 Fifa World Cup. It’s not entirely gone O’Neill’s way; his first game in charge saw his side lose 3-0 to Norway, followed by a hammering by the Netherlands 6-0. Around this time four years ago calls were being made for him to be sacked – after failing to win any of his first ten games in charge. A first win over former England manager Fabio Capello’s Russia didn’t prevent the criticism the side was facing. After a shocking 3-2 loss to lowly Luxembourg many felt it was the end for O’Neill, after finishing fifth out of six in their qualifying group for the World Cup in 2014, with further losses against the likes of Azerbaijan. But the IFA kept faith in the former Shamrock Rovers manager after hearing from the players just how much an impact O’Neill was making. Despite the results, there had always been more promise compared to former manager Nigel Worthington. That promise soon started to show as results were heading in the right direction. A run of three successive wins was the start of a superb qualifying group for Euro 2016, which saw O’Neill’s Northern Ireland top Group F and qualify for their first major tournament in thirty years. The secret behind his success is said to be his relationship with the players. He maintains close relationships with the players and would often speak to them individually – making playing for the country a fun and warming experience again. Soon, the players’ form started to improve – none more so than controversial striker Kyle Lafferty. The Hearts man had been having a poor season, scoring no goals and being sent off once. O’Neill, however, got his head straight and put faith in the striker, and soon the results paid off – with Lafferty scoring a winner against Hungary, followed by many more goals. Jonny Evans, as Captain, has been excellent for Northern Ireland since O’Neill took charge. Top English clubs Man City and Arsenal sought after the former Man Utd defender for around 30 million over the summer showing how much Evans has improved under O’Neill. The success of O’Neill carried on through the Euros. Being the lowest ranked side in the tournament, they still amazingly progressed through the group stages after a 2-0 win over Ukraine. Even if this was their only win, it was still a promising achievement for Northern Ireland, who eventually went out the tournament after a 1-0 loss to Wales in the final 16. In qualifying for the World Cup next year, Northern Ireland lie in second place, having already secured a place in the play-off process – with their only loss coming to the current World champions Germany. 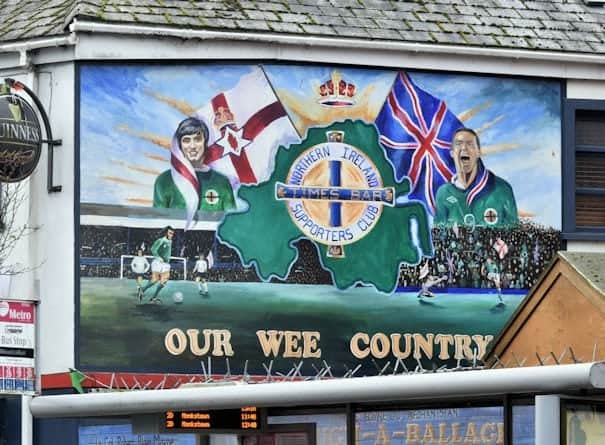 Northern Ireland fans will be confident their side can qualify for the World Cup, with O’Neill stating that no rival teams will want to travel to Northern Ireland as Windsor Park becoming an intimidating fortress to play at. With no major big names in his ranks, O’Neill has done a remarkable job as Northern Ireland manager, installing a brilliant and confident team, who function superbly well together. The Irishman deserves a lot of credit; he’s lifted the nation – given the state of the side when he took charge. Fans would dread when the team would play. Now though, fans have never been more excited and are extremely confident their side can qualify for the World Cup.